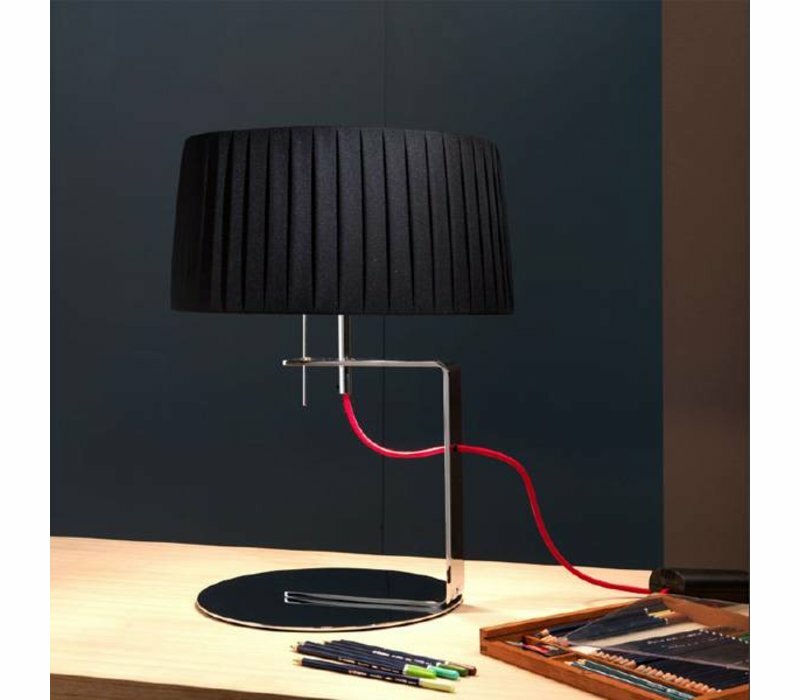 Simplistic, modern design lamp, 'Divina,' is available in cream plissé with black cable, white plissé with black cord or black plissé with red cord. 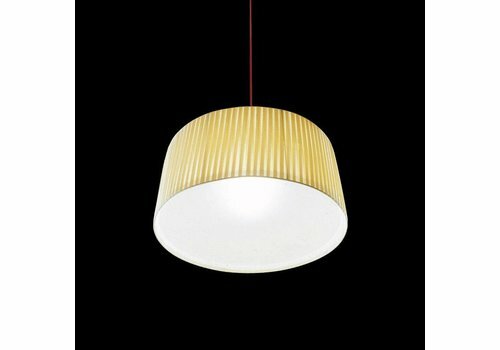 (Plissé - fabric shade). The On/Off switch is on the fabric wrapped cable, and equipped with a sensorial four step switch. 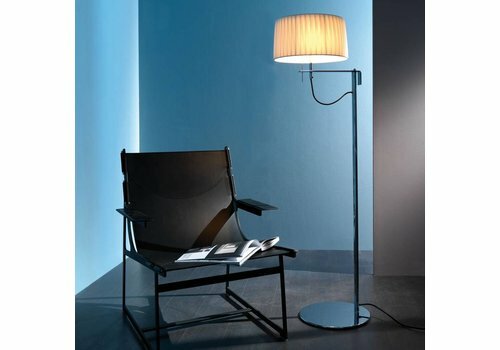 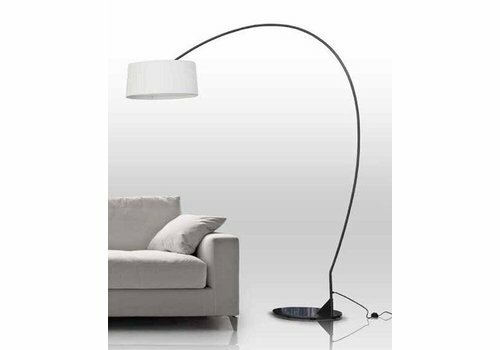 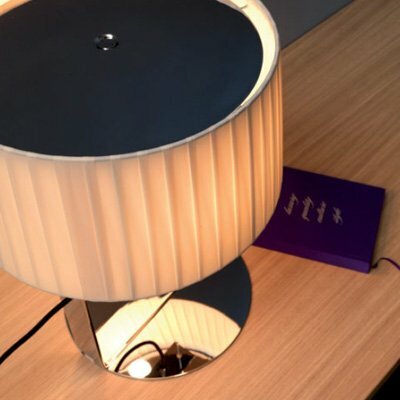 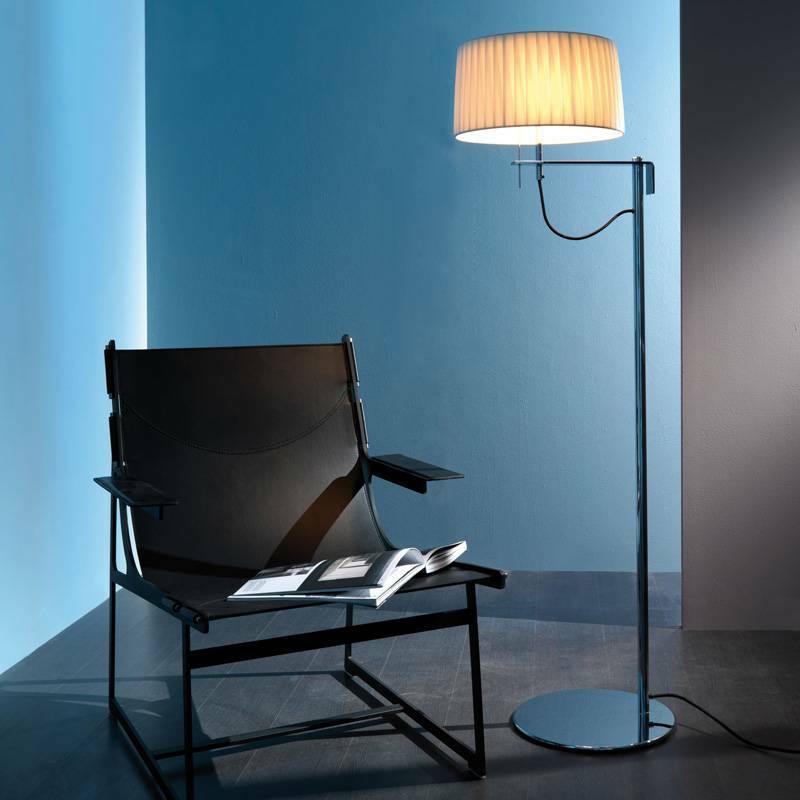 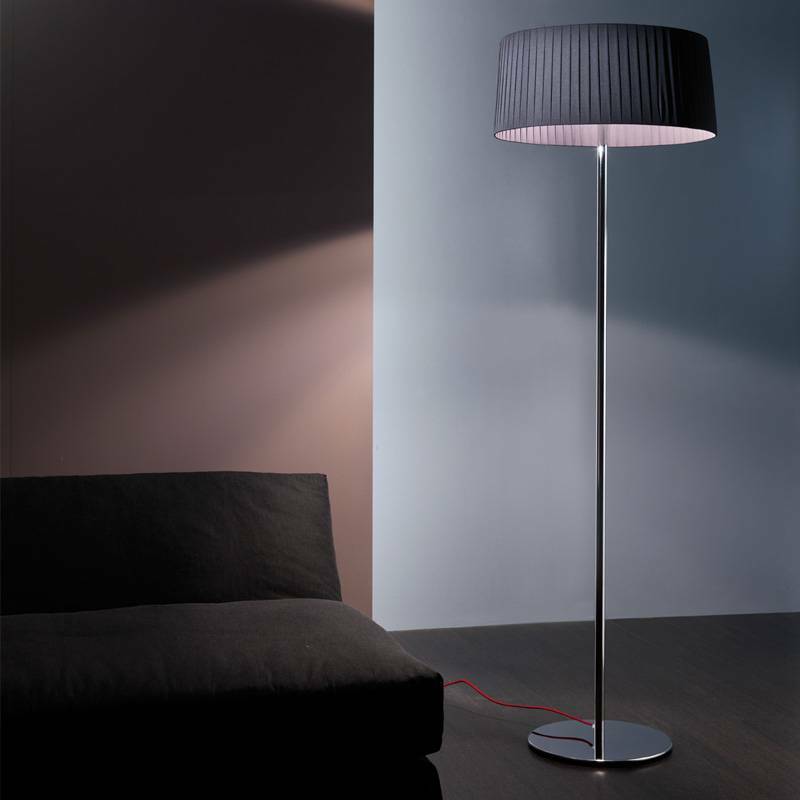 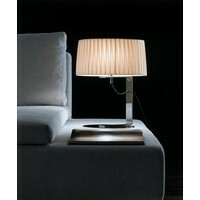 Divina lamp is also available as a floor lamp. 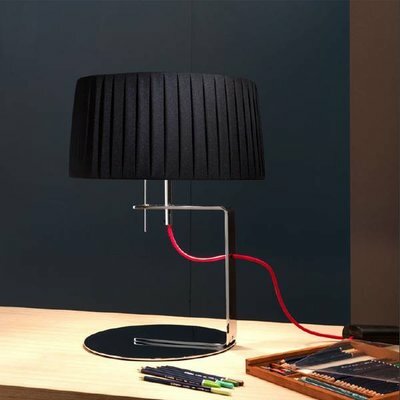 In addition to Contardi’s existing extensive market collection, the company has become focused on customized lamp design in recent years, in favor of interior designers and lighting experts. 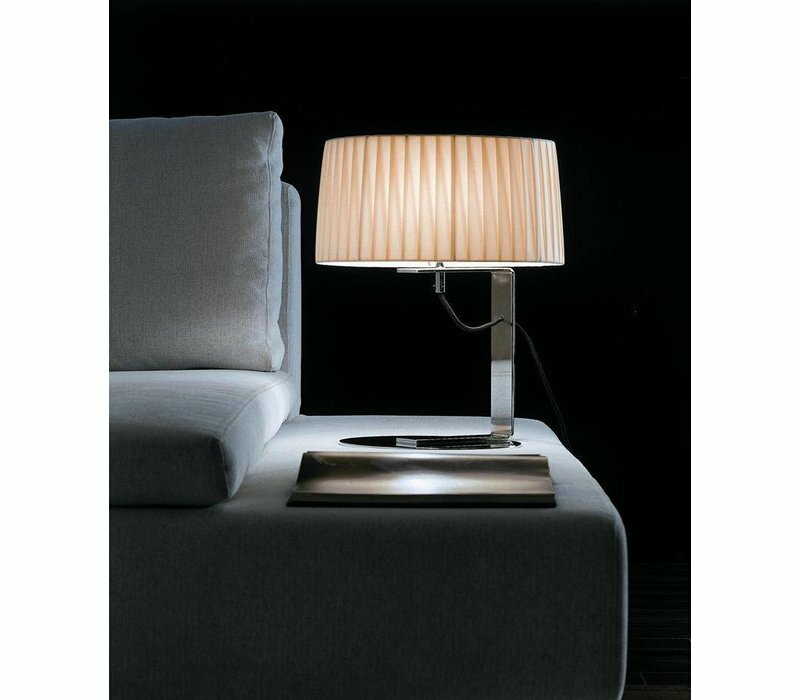 Their tailor-made approach is reflected in high-quality lamp design, their use of fine materials, and a perfect product finish. 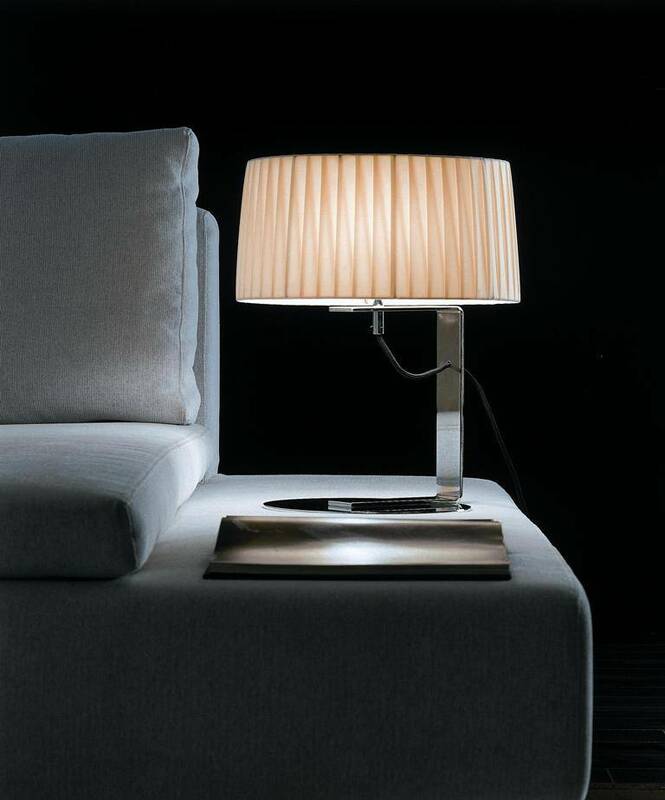 Contardi’s products find their way to consumers, hotels & restaurants and luxury yachts around the world. 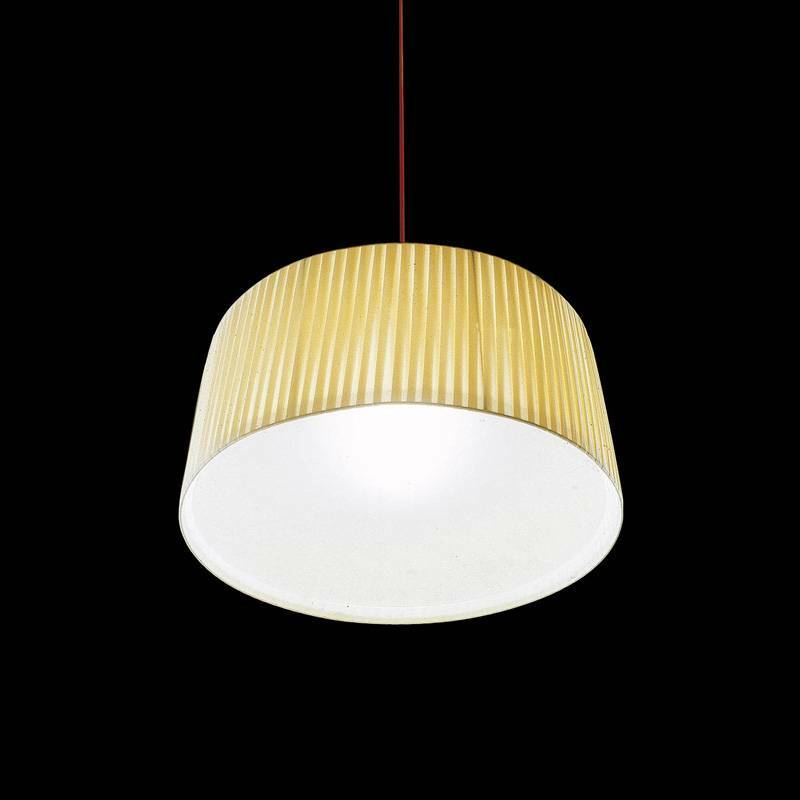 Pendant light 'Divina SO' by Elle Studio. 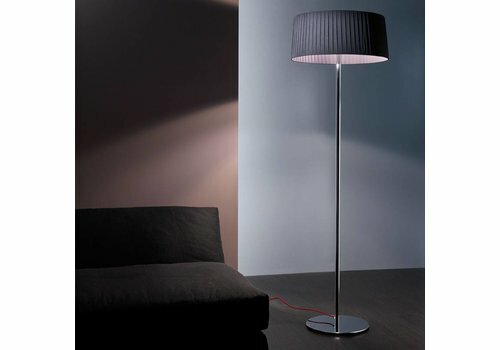 Divina has a fabric shade which is available in 3 different colors and 3 different sizes. 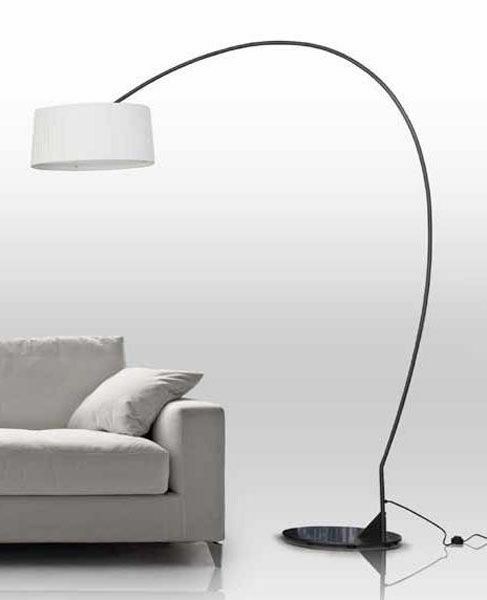 Floor lamp design, 'Divina,' by Elle Studio. 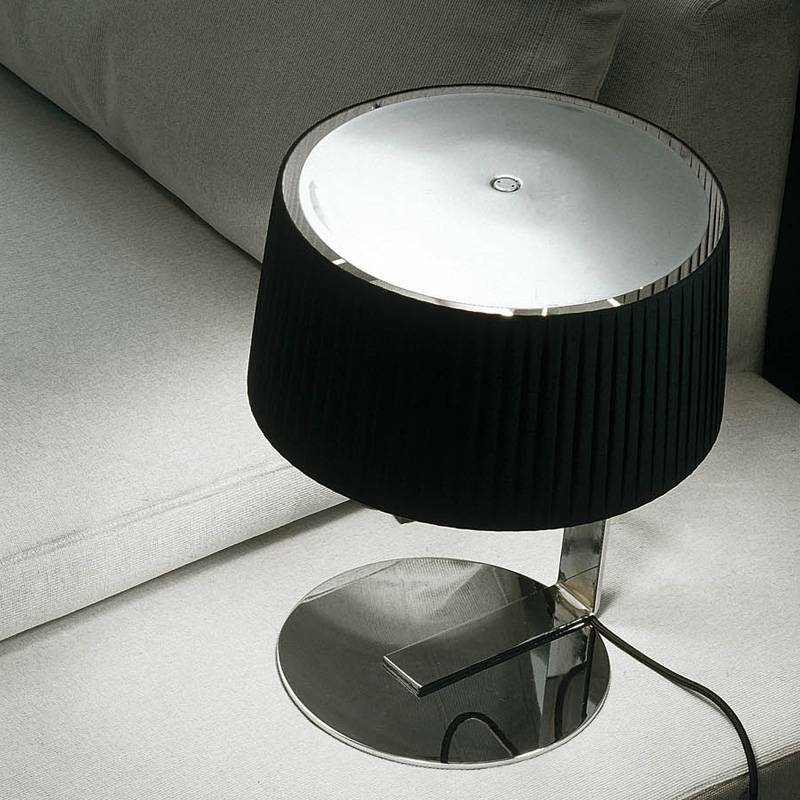 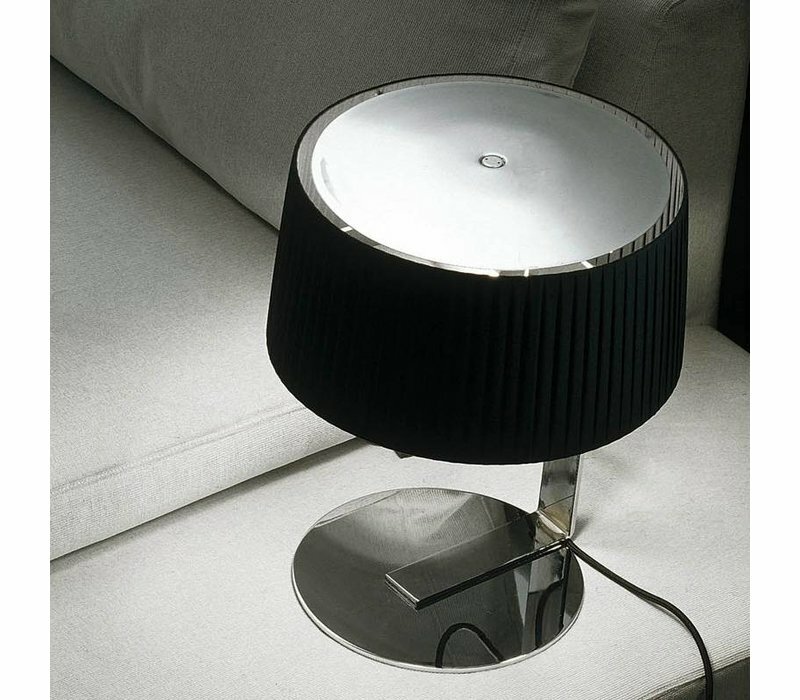 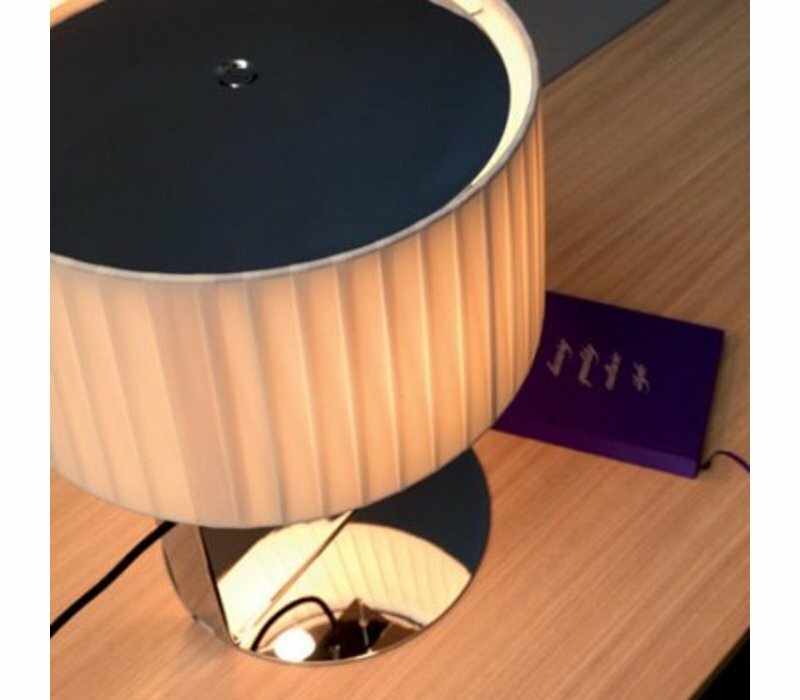 Divina has a fabric shade, frame and round base in chromed steel. 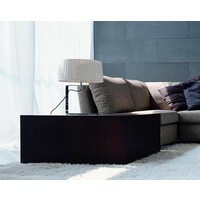 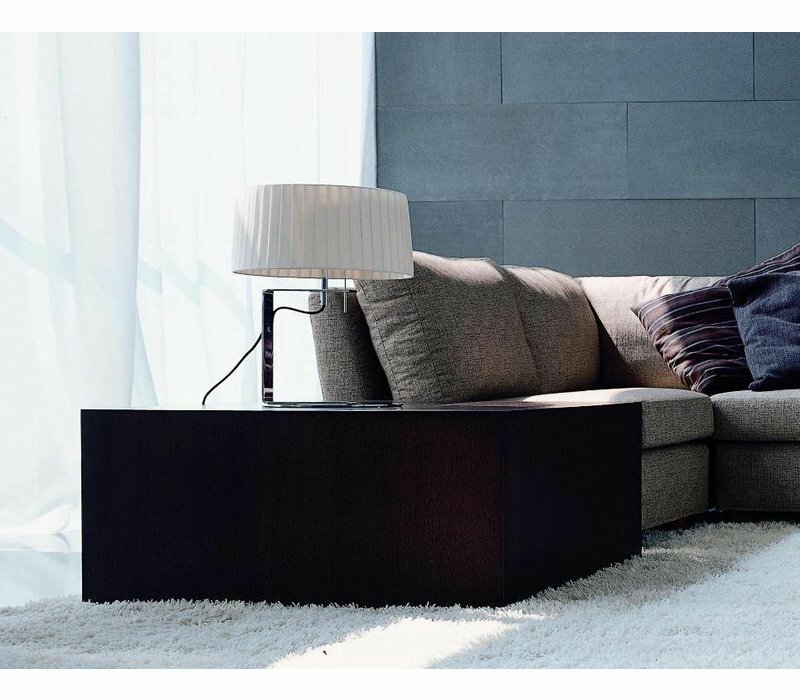 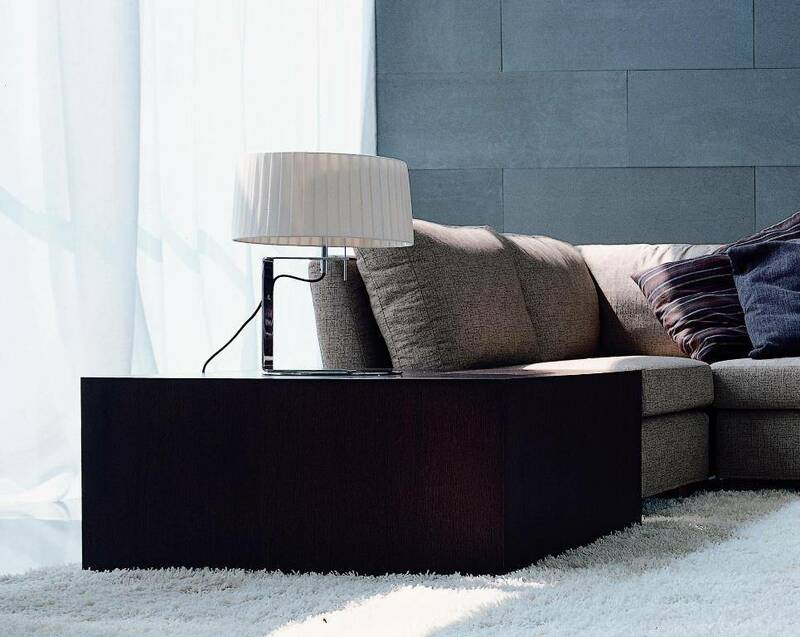 Simplistic and modern Divina is a lovely addition for the home or office.